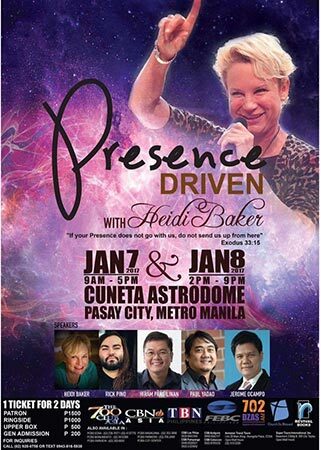 Heidi Baker, American missionary to Africa, well-known for her amazing miracle ministry that has raised over 20 dead people back to life, healed thousands of the blind and lame, and fed hundreds of thousands of orphans by the power and love of Jesus Christ will return to the Philippines in 2017 for the Presence Driven Conference on January 7 and 8 at the Cuneta Astrodome in Pasay City. When Heidi Baker visited the Philippines in 2008, actor Philip Salvador experienced first-hand, Heidi’s extraordinary faith in God to do the impossible. Philip’s young son Pics had been critically ill and pronounced clinically dead. His skin had turned bluish and his heart had stopped beating. 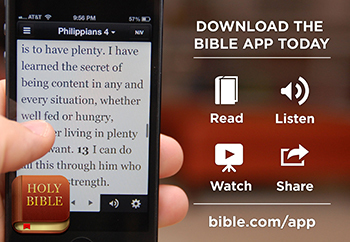 Carrying his limp-bodied son, Philip made a plea to Heidi who came to the boy, laid her hands on him and spoke healing and life in Jesus’ name. Pics stirred and began to move. Today, Pics is like the Biblical Lazarus, alive, well and able to testify to the resurrection power of Jesus Christ even in our times! During her Philippine conference in 2008 hosted by Church so Blessed, Heidi started out stretched-out flat and face down on the floor, pushed down by the weight and glory of God. If you also want to experience Christ’s overwhelming, overpowering Presence, join her and other speakers at the “Presence-Driven Conference 2017” on January 7 and 8 at the Cuneta Astrodome in Pasay City. At the two-day event, other conference speakers who have personally experienced God’s miraculous move and flow will also share their supernatural encounters, including Heart of David Worship Center founder Rick Pino, Jesus Revolution Now! Founder Jerome Ocampo, revivalist Paul Yadao and healing and deliverance minister, pastor and author Hiram Pangilinan of Church so Blessed, host of the conference.